Product prices and availability are accurate as of 2019-04-15 13:03:46 EDT and are subject to change. Any price and availability information displayed on http://www.amazon.com/ at the time of purchase will apply to the purchase of this product. 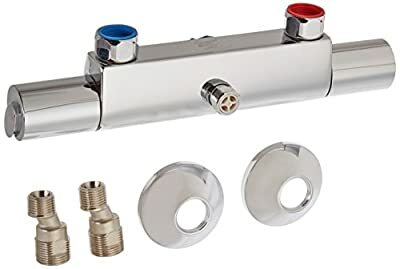 The Grohtherm 1000 1/2" Thermostat wall mount shower valve features contemporary styling and a highly reflective finish in GROHE StarLight chrome.